We bought a bicycle for Dawn as a present for her 4 year old birthday. Being someone who does not know how to cycle, I definitely do not want my daughter to follow my footsteps as I think cycling is a skill and it’s easier to pick up when young. 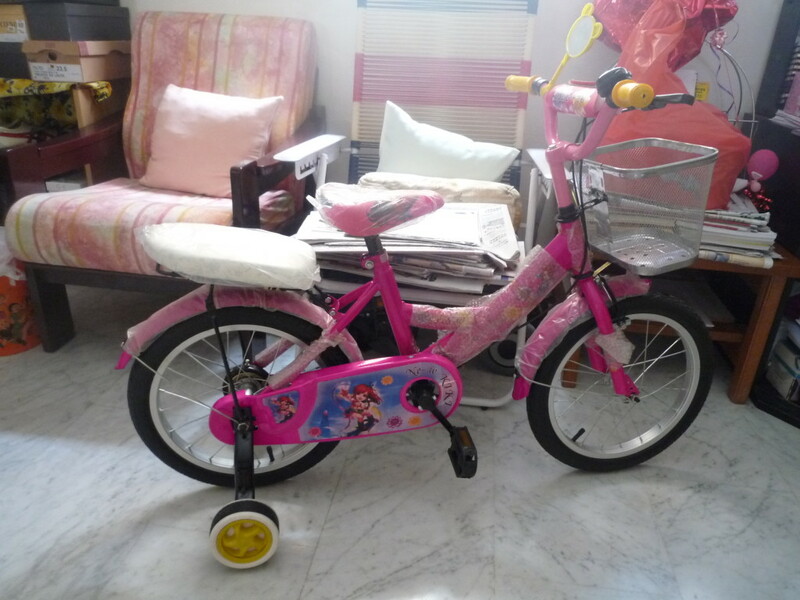 A pink bicycle with 2 guiding wheels at the side. Dawn will always bring her favourite toy cat during her cycling trip and place it in the basket! She had since went for more cycling trips and had advanced from cycling at void decks to cycling from house to the beach nearby. Great job!